Indiana’s oldest and largest local land trust, ACRES was incorporated on March 2, 1960. ACRES’ 12 founders became our first members, each contributing $5, including $2 memberships, toward the goal of preserving land – forever. 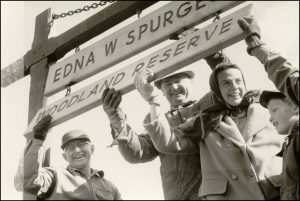 The Edna W. Spurgeon Woodland Reserve in Noble County became ACRES’ first property, donated in 1961 by its namesake. At the time, the organization was named Allen County Reserves. With the acquisition of Edna W. Spurgeon’s land, outside of Allen County, the board moved to change the name to ACRES – an acronym for Allen County REServes. ACRES founders were instrumental in creating the Indiana Nature Preserve Act (1967), legislation that protects natural areas throughout Indiana. For 32 years, ACRES was an all-volunteer organization until it hired its first executive director, Carolyn McNagny, in 1992. Today, ACRES serves 27 counties across northeast Indiana, northern Ohio and southern Michigan with seven full-time staff members. 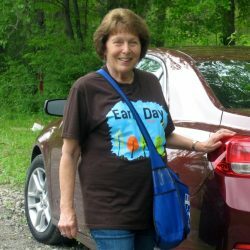 Volunteers are still vital to ACRES’ work protecting and managing the preserves and supporting communities in celebrating their beloved natural areas. Each preserve holds countless untold stories – from the land itself and from the people who love it. ACRES’ archives protect a range of historic information and ephemera from the ages. You can see some of these stories in our social media, our members-only Quarterly and in our email newsletter. Today, thanks to ACRES founders, members and supporters, you can visit the preserves and become a member, adding your story to this rich, living history!